Passion albums have become something I anticipate every year. Since ‘Here For You’ in 2011, each yearly release has spoken into my life, built me up, drawn me to Jesus and inspired me with new songs to use in times of worship. So, will 2014 live up to expectations? Read More Passion albums have become something I anticipate every year. Since ‘Here For You’ in 2011, each yearly release has spoken into my life, built me up, drawn me to Jesus and inspired me with new songs to use in times of worship. So, will 2014 live up to expectations? “Whatever is true, whatever is right/Whatever is pure, whatever is light/Lead me in your way everlasting/Don’t ever stop, don’t ever stop” the opening words to ‘Don’t Ever Stop’ are sung out by Chris Tomlin, and then the music really kicks in. Ripping guitars, pulsing synths, acoustic and electric drums... Passion is here! It’s powerful, it’s over the top and it’s brilliant. The quality of sound is fantastic, you feel like you could be there with the 35,000 others who were at the Passion Conference. The album continues with ‘Never Gonna Let Me Go’. Kristian Stanfill leads 3 songs on the album, and he displays a real grasp of how to write a congregational worship song. “Wherever you’ve been/Whatever you’ve done/Come as you are/Come into His open arms” I can really see this being used by the Church to draw people into worship at the start of services, and again emphasises what a great tool Passion worship album are, as well as a gateway to our own encounter. “Let it be Jesus’ is another brilliant worship song, with a very singable and wonderful melody to the chorus. “For me, to live is Christ... Let it be, let it be Jesus”. Then we reach one of my favourite tracks, ‘At The Cross [Love Ran Red]’. The imagery of love ‘running red’ and our sin ‘washed white’ is so powerful, and this song focuses upon that. Each verse leads you through moments of awe, revelation and wonder, bringing us to the chorus ringing out “At the cross, at the cross/I surrender my life/I’m in awe of You, I’m in awe of You/Where your love ran red/And my sin washed white/I owe all to You, I owe all to You” listening to this, I find myself at the foot of the cross again. This is the art of the great worship album. Soon enough, the focus shifts from worship leaders, instruments and song composition, and it becomes all about God. Passion have done it. With 12 tracks on the album, there are no tracks that feel like ‘fillers’; they all feel like they have a place. ‘I Am’ (with it’s driving percussion and David Crowder’s distinctive vocals), ‘Almighty’ (a slow-burning worship anthem from Chris Tomlin), ‘Came To My Rescue’ (it’s great to hear Christy Nockels taking things upbeat, the track works well) and ‘Come As You Are’ (a brilliant song calling people to come into God’s presence no matter what) are 4 songs that, whilst not being standout highlights, are powerful and meaningful songs. Matt Redman’s offerings on the album should be noted too. His style of song writing bring something different to Passion as a whole, focusing on God and away from us. Mercy, which we heard on his 2013 album ‘Your Grace Finds Me’, makes a welcome return. And ‘Worthy’, the penultimate track, is all about Jesus. “You alone/At the centre of it all/You alone”. But it’s Kristian Stanfill’s other 2 songs that really stand out. Over the years, he has evidently grown and developed as a songwriter and worship leader, and now he seems to be entering into a new level of anointing. ‘My Heart is Yours’, which gives the album it’s title (“My heart is Yours, my heart is Yours/Take it all, take it all, my life in Your hands”), is a statement of surrender that will surely resound in churches all around the world. And in ‘This Grace’, the closing track, we find the albums highlight. I don’t have many words to say myself, but the song speaks for itself. To receive all honour and praise. It will hold me ‘till the end, never failing. Passion have raised the bar they set so high each year. Every track works, every track impacts the listener, but more importantly, every track leads you to encountering God for yourself. 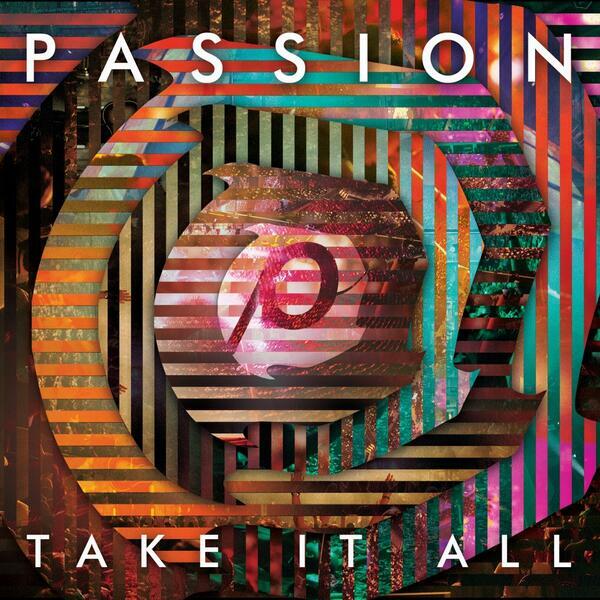 This is not just Passion’s best release in recent years; this is one of the finest worship albums you will hear for a long time.